LONDON, United Kingdom — British activewear retailer The Sports Edit, has completed a £1m investment round to fund the expansion of its e-commerce business and the opening of a brand new flagship store in London. The brand’s second investment round since launching in August 2015, featured participation from former Sainsbury’s CEO Justin King, the owner of fashion brand Lyle & Scott; Sue Watson, and the Founder and CEO of leading real estate investor Tristan Capital Partners; Ric Lewis. The robust group of investors “see a substantial opportunity to create a European market leader in premium activewear,” commented Nick Paulson-Ellis, Founder of The Sports Edit. One of the UK’s leading destinations for premium active apparel, The Sports Edit stocks a highly curated selection of innovative sportswear brands sourced from all over the world, ranging from emerging brands like Alo Yoga, PE Nation, Veja, Koral and Michi to global stalwarts such as adidas, Under Armour and Reebok. Operating a multi-channel strategy, including a physical store located in Chelsea, London, as well as an international e-commerce store, has enabled the brand to grow its presence in over 20 countries. By raising important growth capital to invest in developing this multi-channel strategy, Paulson-Ellis hopes it will fuel further acceleration from the c.160% growth in e-commerce sales the business experienced in 2017. Despite the continued growth of activewear and athleisure increasingly changing the shape of the global apparel market — in 2016, whilst overall US apparel sales increased only 3%, athleisure was the top performing segment, growing 11% to $45.9bn, according to NPD Group — The Sports Edit argues that existing UK multi-brand sports retailers don’t fully cater to consumer trends, particularly in the womenswear market which is what sets it apart from competitors. In light of this, “The Sports Edit has an excellent opportunity to emerge as a UK and European market leader,” commented Ric Lewis, Founder and CEO of Tristan Capital Partners. 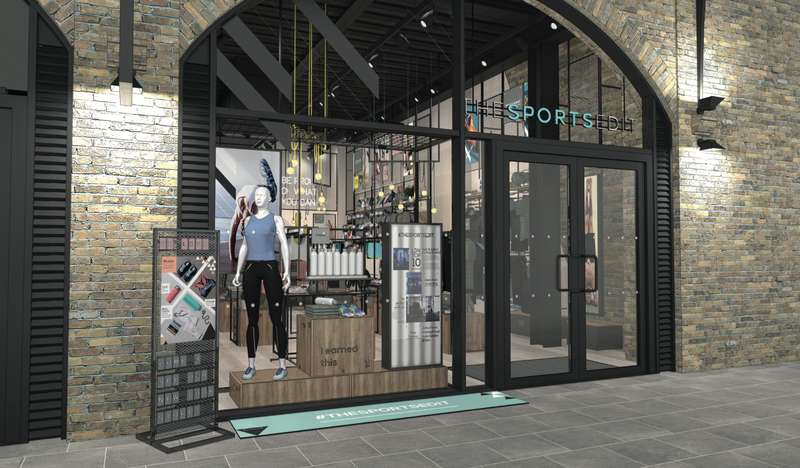 The Sports Edit’s new flagship store is scheduled to open in October, in new development, Coal Drops Yard in King’s Cross — a 100,000 square ft shopping destination for London, featuring shops, cafés, bars and restaurants. Meanwhile, the business will be investing in a series of new brand launches, revealed Paulson-Ellis.